“You need something that can host the [size, weight, power and cooling], so it’s probably going to be a little bigger,” Boxall said. “Flexibility and adaptability, the ability to upgrade quickly, is going to be a key requirement capability. It’s got to have room to grow. “We looked at the things we already knew was out there,” he said. “We looked at the DDG-1000 hull – there are things about that we like, there are things we would do differently. There are things about DDG Flight III that we like, and things we don’t like. 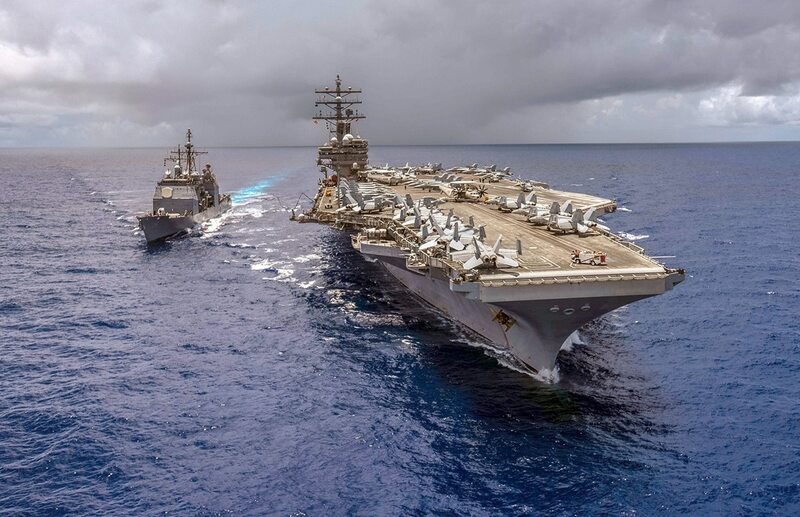 “For the fleet concept of Distributed Maritime Operations to succeed, we have to break the reliance of distributed surface forces on external intelligence surveillance and reconnaissance sources. They need robust, organic ISR.